It’s always a good idea to have a small survival kit nearby, especially when in the backcountry or traveling. One issue with survival kits is making sure that the contents inside stay dry and safe — especially knowing that they will likely sit untouched for long periods of time. When you do finally need a kit, your life or someone else’s will likely depend on it. That would be a really bad time to discover your gear has become damaged or destroyed. With that in mind, I’ve moved the small survival kit contents from a GORUCK zippered pouch to a more sturdy Pelican 1120 waterproof case. 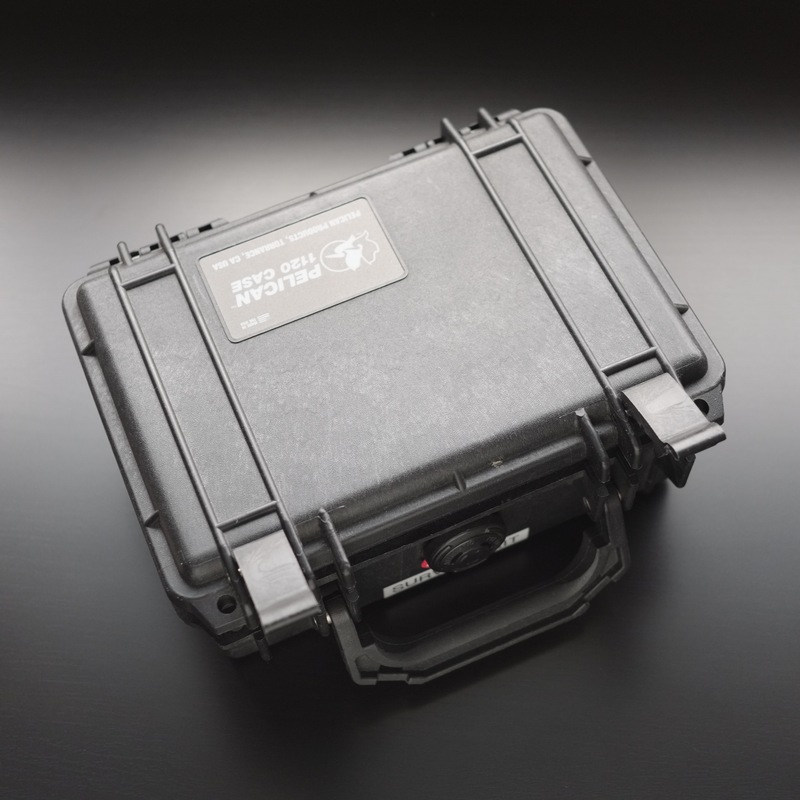 While the Pelican case adds quite a bit of bulk (and weight), it can be easily thrown under a seat in the car, in the front of a kayak, in another bag, etc. You can stow it and basically forget about it (sans occasional gear checks). This small kit really isn’t designed to cover everything you might need for an unexpected night in the wilderness. It’s missing important things like first aid, food procurement, and shelter (which are going to be carried elsewhere). It’s really designed to make sure that you have a way to signal for help and provide for very basic survival needs. Cyalume 12-hour green light sticks x 2. 18″ x 18″ Marker panel (Battle Systems LLC). Compact 2″ glass signal mirror (Battle Systems LLC). Glo-Toob AAA marker light (high, low, strobe modes). Pak-Lite 9V flashlight with lithium battery. Small candle in tin (Exotac). Metal match safe (Exotac) with UCO stormproof matches. Spare match striking pads, sealed. Various tinder pieces, vacuum sealed — TinderQuik, WetFire, and Zippo. Water resistant notepad 3×5″ (Rite in the Rain). Suunto baseplate compass with magnifier. Spare AAA lithium batteries — for Glo-Toob marker light. Micropur MP1 water purification tablets. Victorinox “Picknicker” Swiss Army Knife. So there you have it… hopefully this inspires you to create a survival kit, or even tweak your own existing one! It’s always best to put something together yourself, rather than reach for an off-the-shelf kit. You can have quality gear and know how it works ahead of time, instead of ripping open a bag and trying to figure things out when you’re already stressed or injured. All images and content © 2017 of the respective author(s). No use without permission.